The sun was still shining brightly, albeit from a low angle, after dinner. So, I hopped on the bike around 6:15 pm and returned around 7:45 pm, just as it was starting to get dark. 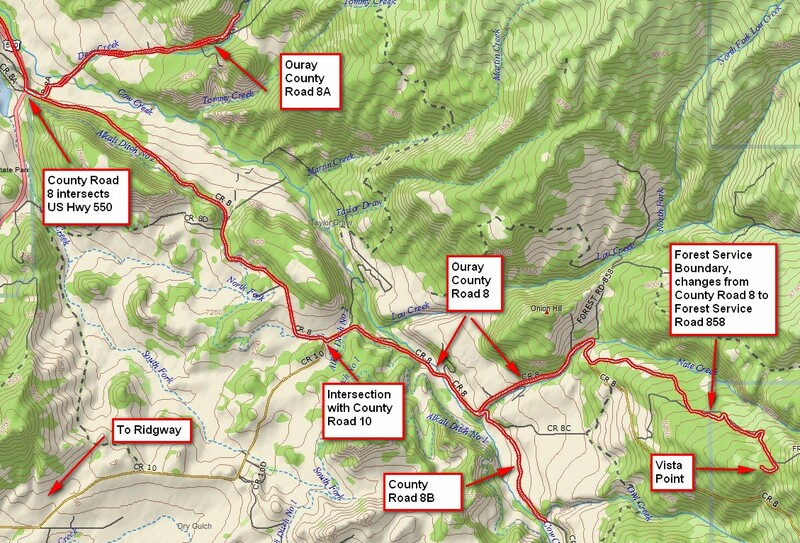 I thought I’d take the various branches of Ouray County Road 8. Right now it’s only clear up to Vista Point, and the upper part is pretty rutted—great way to catch a wheel! Here's a quick overview of County Road 8 in mid April. 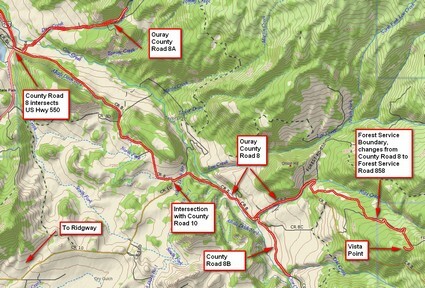 In a few months, it'll be open to Owl Creek Pass. The track is in red. Click on the image to see a bigger version. Here the road takes a bend to the east. Nice views in rural Ouray County. The image is taken at the point CR8 starts to get steep. 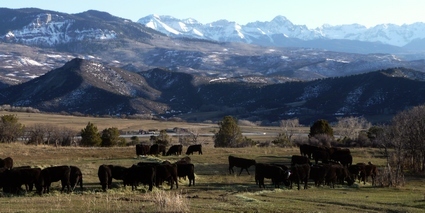 The cattle are grazing under the image of Mt. Sneffels. The late afternoon sun makes for pretty pictures. 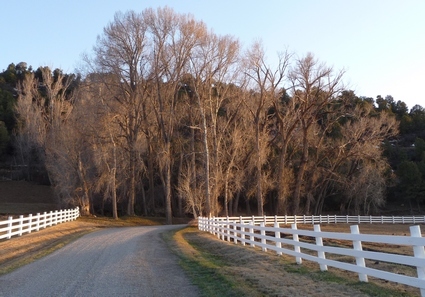 This is taken along CR8A not far from US Hwy 550. Yes, the trees are yet leafless—give them another month! A nice way to spend an evening, don’t you think? This entry was posted in GPS Tracks, Motorcycling. Bookmark the permalink.